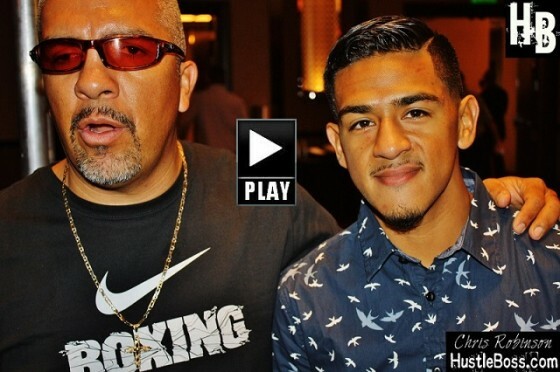 HustleBoss.com’s Chris Robinson speaks with trainer Joel Diaz about the May 3 Floyd Mayweather vs. Marcos Maidana showdown, set for May 3 at the MGM Grand in Las Vegas. 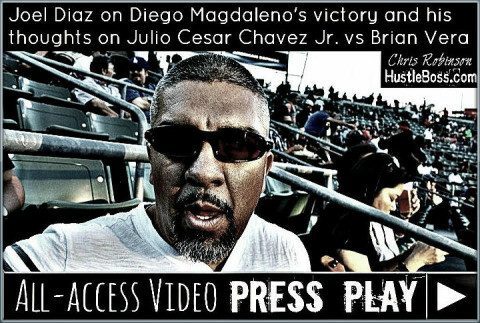 HustleBoss.com’s Chris Robinson speaks with trainer Joel Diaz about his fighter Tim Bradley’s training for his April 12 match vs. Manny Pacquiao. 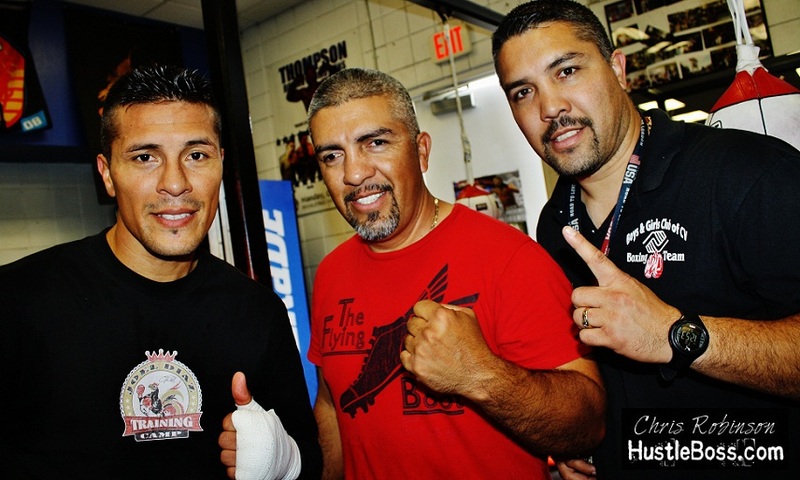 Diaz is ready for fellow trainer Freddie Roach’s mind games and ready for the fight. More all-access coverage from the Mayweather Boxing Club in Las Vegas, Nevada as trainer Joel Diaz hits up Shawn Porter’s training camp to help with advice ahead of his match on Dec. 7 on Showtime against Devon Alexander. 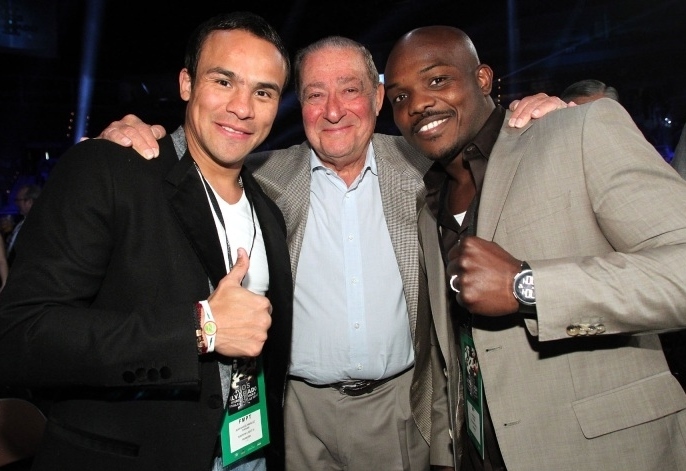 As the Oct. 12 Tim Bradley-Juan Manuel Marquez pay per view showdown approaches us, there is some noticeable tension in the air. A visibly discouraged Bradley spoke on his concerns with me earlier this month pertaining to the drug testing protocols that are being used in advance of the bout. While initially seeking to have either VADA or USADA drug testing enforced, Bradley was thrown for a loop when he discovered that his promoter and Top Rank CEO Bob Arum instead had plans of using a third party agency in cooperation with the Nevada State Athletic Commission to oversee the testing. Bradley initially mentioned that he would consider walking away from the fight if VADA or USADA weren’t involved, citing his contract that stated either party needed to be used in conjunction with the fight. Finally, Bradley would put the issue aside, as he instead turned his focus solely towards his preparation for Marquez. Despite being more than ready to dive into a full-fledged training camp in order to prepare himself for battle against one of Mexico’s finest prizefighters, you can sense that Bradley isn’t completely confident in how the situation is being handled. While many eyes were fixated upon the action between Mike Alvarado and Brandon Rios this past Saturday night in Las Vegas, it’s safe to say that very few people could have had as vested of an interest in the fight as did trainer and former contender Joel Diaz. Watching Alvarado overcome a rocky start on his way towards a decision victory in his rematch with Rios, Diaz surely knows that either man could very well find themselves in the ring with his star fighter, Timothy Bradley, in the near future. The buzz on Bradley is at a peak, as he is still soaking up the aftermath that came from his grueling points victory over Ruslan Provodnikov just two weekends back. 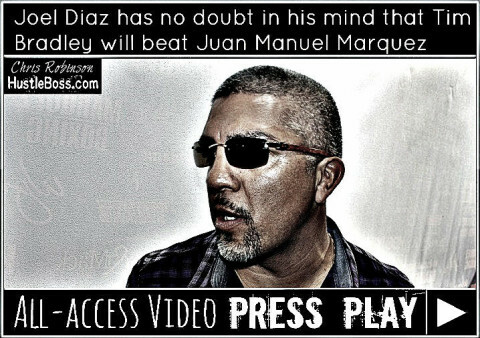 With the dust from Rios-Alvarado II settling, Diaz is getting a clearer picture of what the forthcoming moves may be for Bradley and he seems eager, showing particular interest in a match with Mexico City’s Juan Manuel Marquez. At the moment, there is still no official opponent locked in for former junior welterweight champion Amir Khan’s April 20th return. One fight removed from his upset loss to Danny Garcia this past July in Las Vegas, Khan has since seen his spirits restored after teaming up with Northern California’s Virgil Hunter. The duo’s first ring endeavor resulted in Khan dominating and bloodying an outmatched Carlos Molina over ten rounds before the fight was called off. While the very capable Josesito Lopez appeared to be in the running to face Khan, the two sides couldn’t agree on a catch weight for the fight, leaving the Bolton star without a dance partner as his next fight creeps closer. One man who is throwing his name into the hat is former two-time champion Julio Diaz. 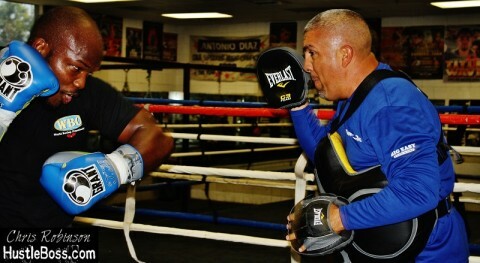 On Tuesday afternoon, I caught up with Indio, Calif.-based trainer Joel Diaz. 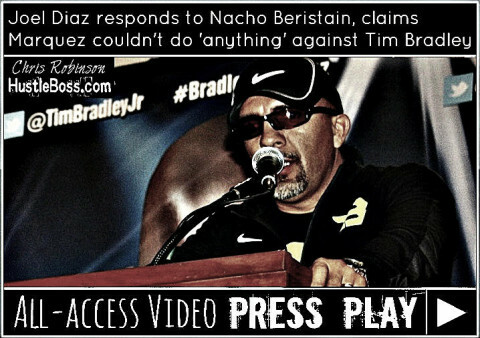 Known best for his work with WBO welterweight champion Tim Bradley, Diaz actually reached out to make mention of his younger brother Julio. Last month in Los Angeles, Julio defied the odds in going tooth and nail against undefeated Shawn Porter, eventually settling for split-draw verdict after ten brisk rounds. Having held portions of the lightweight championship on two separate occasions in the past, the 33-year-old Julio had been written off by many but showed poise, vigor, and fortitude in pushing Porter to the limit. Joel would love nothing more than to see his brother face off with British star Amir Khan, who is actively pursuing a suitable opponent for his April 20th return.